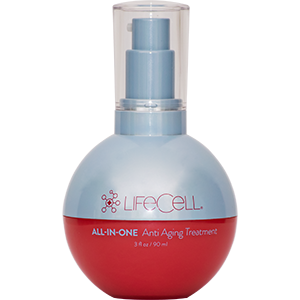 A luxurious lightweight body treatment powered by ginseng extract, peptides and caffeine. 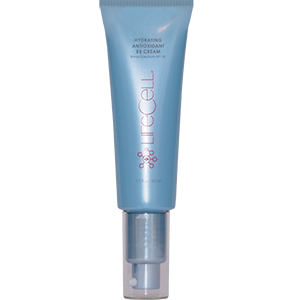 Reduces the appearance of cellulite, tightens and firms, hydrates and gives a more even and radiant tone. 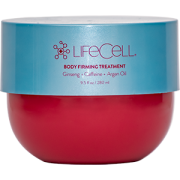 GINSENG EXTRACT- boosts circulation leading to a reduction in swelling minimizing appearance of cellulite and promotes collagen production. 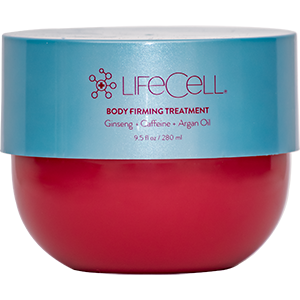 CAFFEINE- draws excess fluid from fat cells reducing appearance of cellulite and swelling while also firming skin. ARGAN OIL - protects against free radical damage, promotes cell regeneration and provides moisture. Increases elasticity of skin assisting with the appearance of stretch marks. After showering, massage into dampened skin focusing on areas of concern morning and night.